The ideal supplement for cooling of Mosfet or RAM modules on graphics cards. 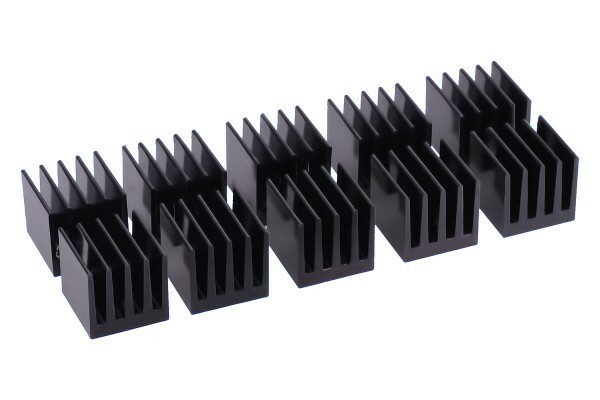 For sufficient cooling of these components, heatsinks such as this one are required. As a result, lower temperatures and better overclocking performance can be achieved. Being made completely from Aluminum, these heatsinks allow very efficient cooling of the cooled components. A low height of only 15mm allows installation even under large graphics card coolers.